Welcome Neighbor has been helping people settle into their new neighborhoods since 1987. We understand moving to a new town can be a difficult and emotionally-draining experience. So we offer a talented staff of greeters who have lived in the area for a number of years and are more than willing to sit down with anyone new to the communities we serve. They will take the time to walk you through the welcome packet and go over the offers that are included. 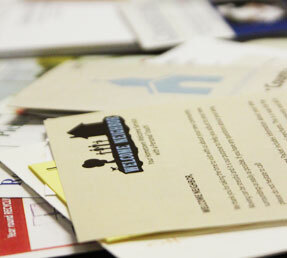 Our free welcome packet provides you with lots of the information you need to get comfortable in your new surroundings. It highlights the many unique and interesting locally-owned shops, markets, and restaurants in your area. Plus top-notch doctors, dentists, and other professionals. They're all waiting to be discovered by you.